Dr. Koploy fulfilled her childhood dream of becoming a veterinarian and living on a tropical island when she transferred from the graduate program at UCLA (studying Marine Phycology) to Ross University, School of Veterinary Medicine in Dominica, and later St. Kitts, in the West Indies. Her 4th clinical year was completed in Utah, which included an exotic animal rotation through the Hogle Zoo in Salt Lake City. After receiving her DVM degree in 1986, she completed a rotating internship in small animal surgery and medicine at the Grand Avenue Pet Hospital in Santa Ana, California. 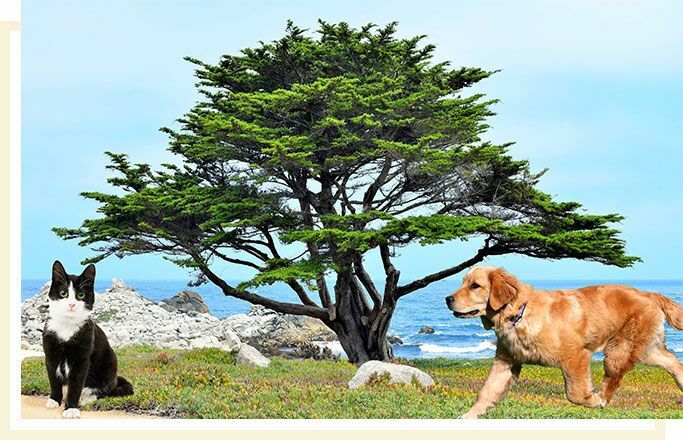 She continued there as a staff veterinarian, after completing her internship, for three more years before relocating to the Monterey Bay area. In 1990, she joined the Santa Cruz Veterinary Hospital consortium at its satellite hospital, Del Mar Pet Hospital, working with Dr. Jay Stone. In 2000, she was given the opportunity to purchase the practice from Drs. Jay Stone and Thomas LaHue. Dr. Koploy loves the ability to provide ongoing quality care to patients and clients (many of whom she has known since her start there in 1990). She enjoys a broad spectrum of general practice and has interests in surgery, internal, reproductive, and emergency medicine, and the care of those on the other end of the leash! In her "spare time" she loves to hike, ski, swim, garden,(did I say attend cross- country dairy goat shows?) and spend time with her two-legged and four-legged family members. Dr. Nichole Brooks was born and raised in Sonoma County, California. She received her Bachelor’s degree from the University of California at Santa Cruz in 1999. Afterwards, she worked as a senior keeper for an African Wildlife Preserve in Sonoma County. Inspired by her positive experience there, she decided to pursue advanced training at St. George’s University, West Indies, where she completed her Doctorate in Veterinary Medicine. She then completed her clinical training at North Carolina State University in 2010. In addition to working as an Emergency Clinician, Dr. Brooks loves being a General Practitioner and enjoys a surgical challenge. She has also owned her own practice in Sonoma County. Dr. Brooks focuses on preventative care, surgery, and the proper medical treatment of a variety of diseases. 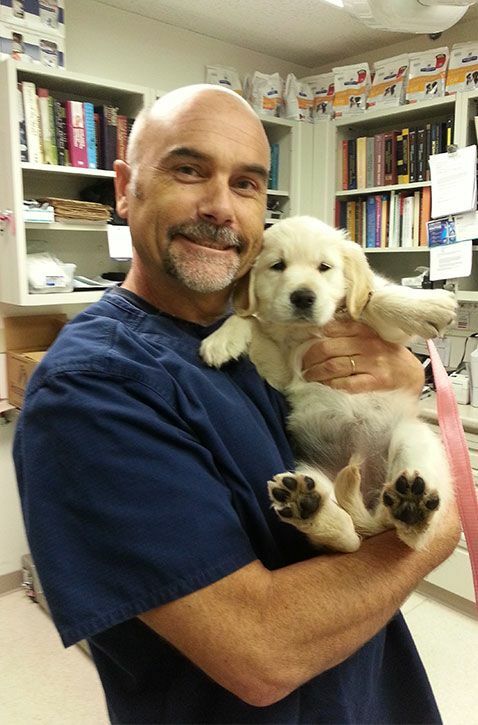 Dr. Regelson joined the Del Mar Pet Hospital Team in 2018. A California Native, he grew up on a Dairy farm with Horses, Cows, Dogs, Cats, Chickens and Sheep. He decided at an early age to work with animals. Dr. Regelson attended undergraduate Study at the University of Wyoming, and from there, went onto Veterinary School in Fort Collins, Colorado. He has lived in the Monterey Bay area since 1995 and practices small animal medicine and surgery. He especially enjoys surgery to help pugs and bulldogs breathe easier. Currently, he has two dogs and cat, the cat is the leader of the pack. Dr. Regelson enjoys hiking, the beach, and the redwoods. Sabrina is a cat person who loves dogs. She has 5 Cats and 3 Dogs that she shares with her sister. After graduating from UCSC, she decided to get training in becoming a veterinary nurse. After 2 years of the Hartnell Animal Health Tech Program, Sabrina took the California state board exam and acquired her license in 2003. Sabrina speaks both English and Spanish, and likes to educate the Spanish speaking community about preventative care. Karen always knew from a very young child she would be working with animals. She grew up and took care of many horses, dogs, cats, rabbits, guinea pigs, peacocks, chickens, and ducks. As a teenager, she began to volunteer at a veterinary clinic after school. It became evident to her this is where she belonged. Karen began her job as the kennel technician here at Del Mar Pet Hospital after she got out of school. While working the kennel full time, she had the opportunity to train and work in reception and which lead her to become a veterinary assistant. After many years of both education and hands on training, Karen became the lead technician and manager here. Between taking courses online and attending seminars for many years, she was eligible to sit for the boards and take her RVT exam. On December 29, 2009, Karen attained her (RVT) Registered Veterinary Technician. She has special interest in Dentistry, Pain Management, and Anesthesia. 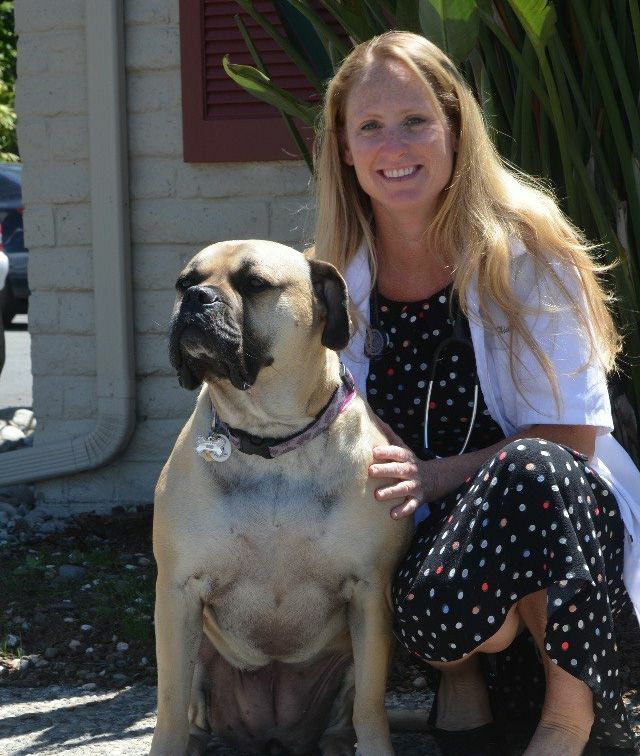 Elena has been working continuously with Del Mar Pet Hospital since 2013. Elena is well-known for her organizational and problem solving skills and has been a dedicated observer. When she is not at Del Mar, Elena enjoys spending time with her family, raising animals (mainly goats and ducks), playing video games, travelling, and relaxing. 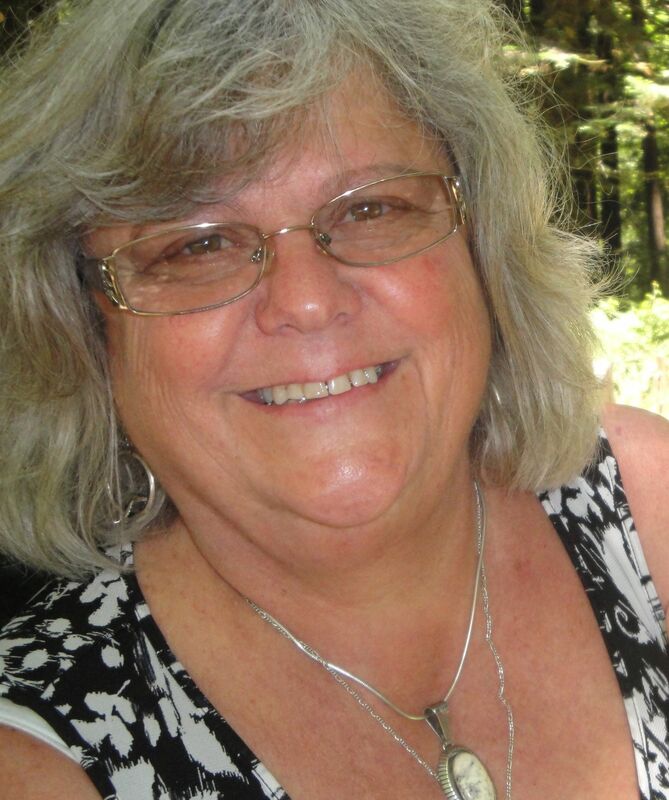 Rebecca worked in the nursing field for over 25 year specializing in the elderly both in Australia, Denmark and the U.S.A. Rebecca has been married for the last 42 years, has two lovely daughters and has been blessed with three grandchildren. Prior to working a Del Mar Pet Hospital, Rebecca worked as the office manager for 11years with a local company helping new start up companies to get their product into the Health Food stores. Rebecca special interests include work in the healing arts. Carol was born into a veterinary family, animals have been a part of her life quite literally from the cradle. Dogs, cats, rabbits, chickens, ducks, turkeys, hamsters, guinea pigs, turtles, fish, goats, sheep and horses have found their way into her life. Carol wouldn't have it any other way. She has 17 years of experience working in the veterinary practices and numerous years working to promote veterinary continuing education. 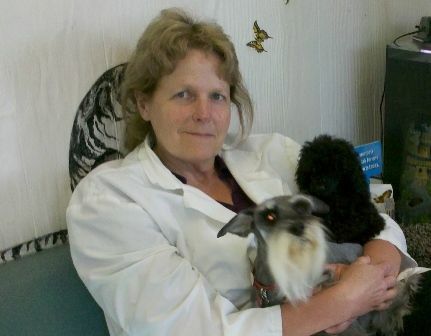 Carol has been a part of the Del Mar Pet Hospital "family" for over 11 years..